Made from 100% vinyl that's easy to clean, the Italian Air Force Surplus Toiletry Bags are an excellent choice for storing small accessories. Full-length zipper makes it easy to access your personal items quickly. 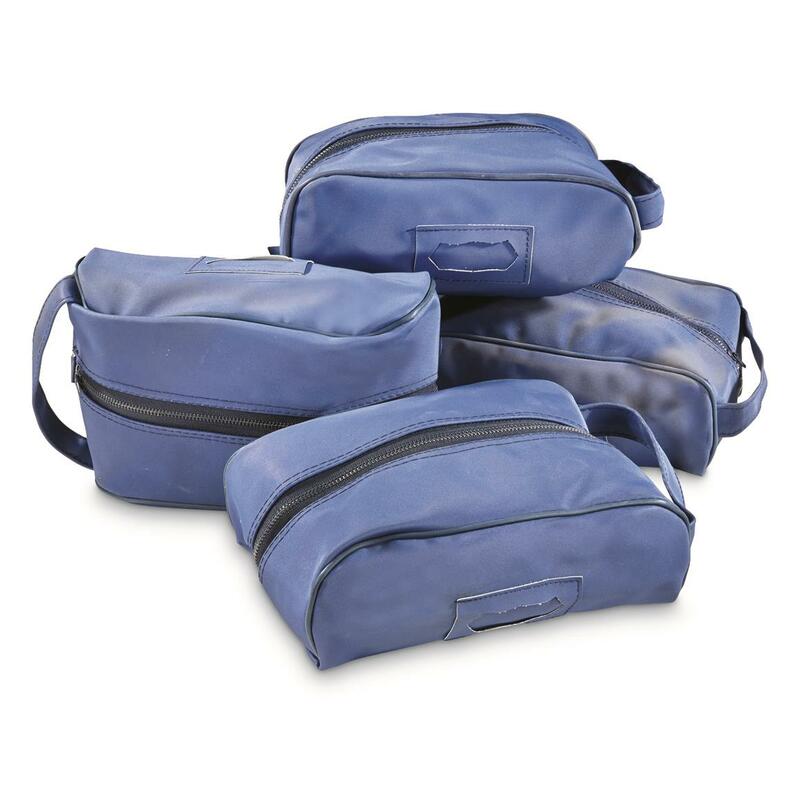 Plus, you get 4 Toiletry Bags for 1 low price! 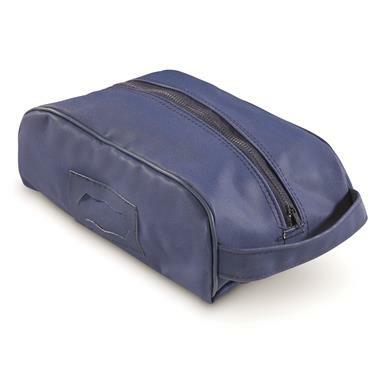 Dimensions: 8.5"l. x 5"w. x 3.5"h.
Italian Air Force Surplus Toiletry Bag, 4 Pack, Used is rated 4.0 out of 5 by 1. Rated 4 out of 5 by packrat from Decent price on these used bags. They make neat little gifts and can be obviously used for things other than toiletry items. They are probably what most would call maybe medium duty use in the heaviness of the material. Some look almost new but a few had a bit of discoloring on an area or two but they weren't too bad. Each one is packed with a single page of an Italian newspaper from 85 or 86, at least the ones that I got, which makes them a bit of a neat time capsule.